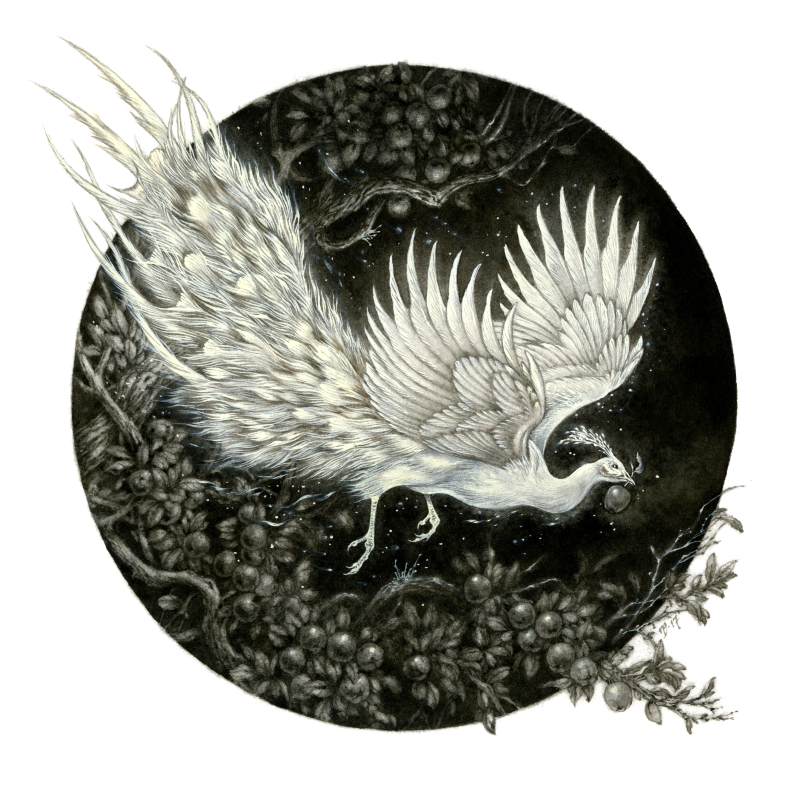 The Firebird ~ Ink, watercolour, and gouache, 150 mm square. For the 2017 Month of Love challenge, ‘Light’. Familial, material, and romantic love all play their parts in this Russian tale, in which Tsarevich Ivan, Tsar Andronovich’s youngest son, discovers the culprit who nightly steals the Tsar’s golden apples: the firebird. Some more recent retellings have occasionally conflated this tale with that of Koschei the Deathless by casting him as the antogonist, and indeed this was the basis for Stravinsky’s ballet of 1910. Here, the firebird’s brilliant feather, which had torn away in Ivan’s grasp when he attempted to catch the bird, becomes the light which frees Koschei’s prisoners from enchantment and aids Ivan in Koschei’s destruction. Ink on Strathmore Bristol, vellum surface. 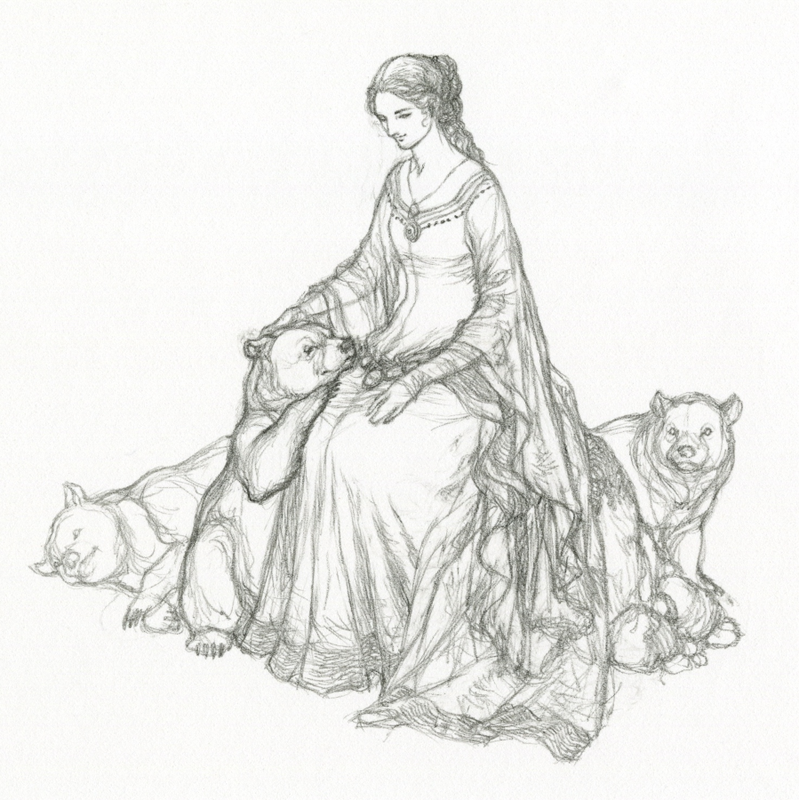 Illustration for The Three Sisters, from Oxford Treetops Greatest Stories: Grimm, retold by Jan Davidson, published by Oxford University Press, 2016. The princess (one of the titular three sisters) originally had a slightly different appearance when I first drew the rough. I was dissatisfied with the turn of her head, and in changing it, the similarity to Queen Elinor from Pixar’s Brave seems to have inadvertently stolen over her. With three bear cubs in tow, the parallel became inevitable. I ran with it, and the piece became something of an accidental tribute to the film — or at least to the character. 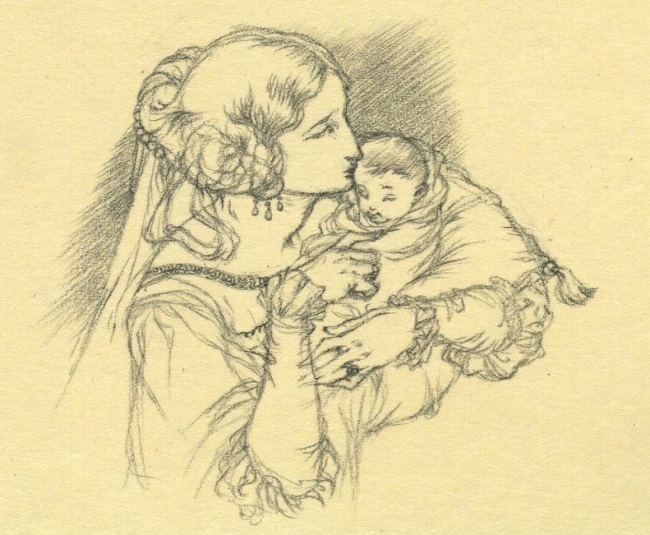 This sketch is from eight years ago and was part of a series of studies I did for the tale, Princess Rosette, by Madame Catherine d’Aulnoy.